This neat bedding set design is set by tropical foliage. 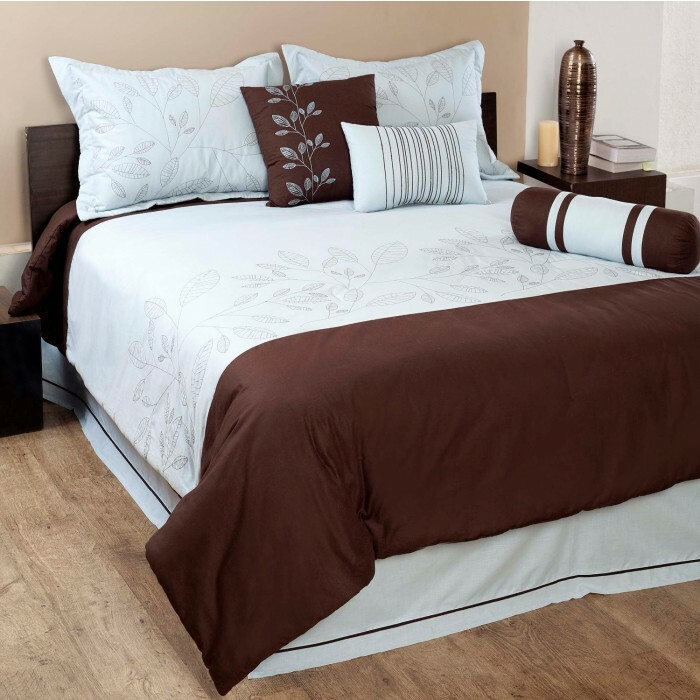 The color combination with the embroidered botanical pattern creates the perfect bedding dream. 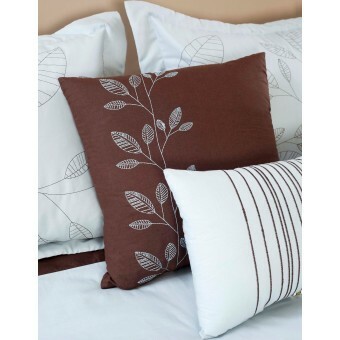 Made of 100% Cotton w/polyester fill for comforter and sham. Dry clean only. Imported. Set Includes: Pieced comforter (Queen = 88 x 94, King = 106 x 94) w/matching solid back, pieced flanged sham (standard sham for queen set, king sham for king set), solid tailored bedskirt and 3 decorative pillows.